The Latin Jazz Workshop, named for Charles Mingus’ Jazz Workshop, is an ensemble that performs mostly original music as well as an eclectic variety of arrangements of music by composers as varied as Mr. Mingus, Thelonious Monk, Kurt Weill, Jimi Hendrix, Rafael Hernandez, John Lennon and Wayne Shorter. 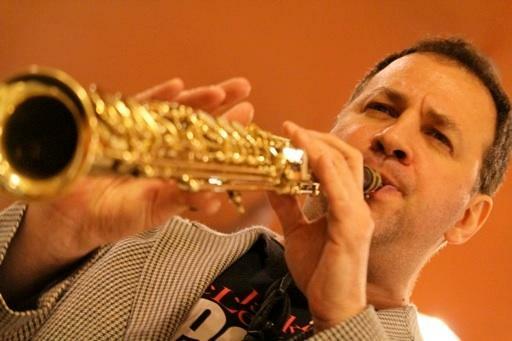 Peter Brainin is a Grammy and Latin Grammy award winning saxophonist as well as an accomplished composer, arranger and educator. He has toured internationally and recorded with Chico O’Farrill, Hilton Ruiz, Mongo Santamaria, Samuel Torres y Yaounde, Willie Colon and Legal Alien, Valery Ponomorev and Bebo Valdez as well as performing with Randy Weston, Wynton Marsalis, Ruben Blades, Paquito D’Rivera, Benny Golson, Eddie Palmieri and many other music legends. A native of the Bronx, he has twice won awards for music composition from Bronx Council on the Arts. Peter Brainin / Saxophone & flute. Peter Brainin & The Latin Jazz Workshop at Terraza 7; Saturday April 9th, 2016 at 9:30 pm. No Replies to "Peter Brainin & The Latin Jazz Workshop"